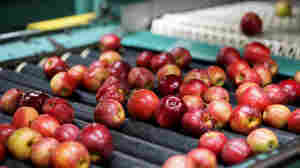 October 3, 2012  Washington state apple growers are harvesting the second-largest crop in history, but it appears there won't be enough workers to get the fruit off the trees quickly enough. 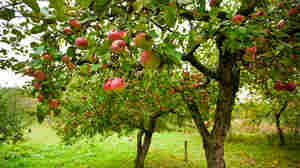 The next few weeks are when the bulk of the region's fruit is picked. The labor shortage comes as apple prices are high. 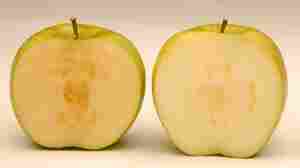 If Genetically Modified Apples Don't Brown, Can You Tell If They're Rotten? September 26, 2012  Genetically modified apples that don't go brown could become the first transgenic apple varieties approved for sale in the U.S. Scientists say they're safe to eat, but the real question is, will consumers buy them? 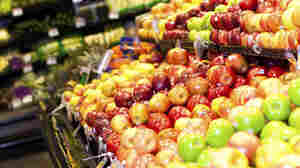 June 19, 2012  Consumers get agitated when they see apples, celery and red peppers singled out for containing the most pesticide residue. 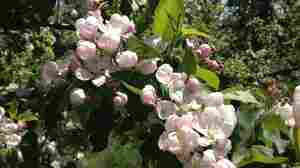 Scientists say it's not such a big deal because the pesticide levels are extremely low. 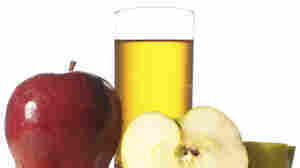 September 15, 2011  Dr. Oz isn't the only one whose testing has turned up arsenic in apple juice. 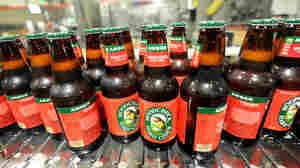 But his methods have been challenged, and the Food and Drug Administration maintains the drink remains safe to consume.